‘500 WORDS’ asks children aged 13 and under up and down the UK to put pen to paper to compose an original work of fiction using no more than 500 words. “On Willow Brook Avenue, there was an old scarlet postbox. There it stands and there it has stood for many more years then I can remember. The old post box was a big part of a small community. It was always full to the brim of letters and cards to loved ones from far and wide and of course with dreaded bills to those not-so-loved ones far and wide. But it was so much more than a postbox. It was also a place for old Mrs Ross to take a rest from wearily carrying her bags back home after her weekly shop. It was a post for kind Mr Blunkett to tie his scruffy pet dog Rascal to whilst he visited the newsagents for his daily newspaper and bag of mint imperials. Then there were the children who loved to use it as a base for their games of tig, not forgetting the rather fierce PC Danes, who would prop up his bicycle against it so he could patrol the high street by foot. The old postbox was wanted by so many people and every year it would get a lovely glossy lick of bright red paint. Then, one day, email was invented. ‘Ooh, how quick this is’ they cried. ‘Isn’t this easy?’ they wondered. ‘No need for stamps anymore,’ they marvelled. But the postbox didn’t marvel. Slowly but surely the letters and cards came to a halt and the postman came to empty it less and less often. The beautiful, glossy red paint began to peel and lose its shine. One day, completely out of the blue, the Council pinned a notice on the old postbox saying that it was to be removed from the neighbourhood at the end of the month through lack of use. The residents of the town were in shock. ‘B-b-but where will I get my breath back after my shopping?’ stuttered old Mrs Ross. ‘And where will I tie up poor Rascal?’ fretted Mr Blunkett. ‘And what about our tig base?’ wailed the disappointed children. ‘I’m not having this,’ boomed PC Danes, who called a village meeting immediately. The entire village decided to complain to the Council (by post of course, not email). Hundreds of letters of protest were hand written and posted and eventually the Council had no choice but to change their mind and reinstate the postbox. Royal Mail postboxes and household letterboxes are essential for letters but what about parcels? An important part of the postbox service is parcel deliveries. Parcel deliveries have increased in parallel with online sales. Delivery drivers throughout the UK are preparing for what is anticipated to be the biggest volume of parcels they have ever had to distribute, as online shoppers embark upon a massive spending spree in the run-up to Christmas. In the final three months of 2015, retailers are expected to send out 20% more parcels than in the same period last year and this is expected to peak on the discount day known as Black Friday. This year’s Black Friday is on 27th November and could be the UK’s first £1 billion sales day. Then for the following four weeks, we have the late Christmas parcel rush. How many days until Christmas 2015? 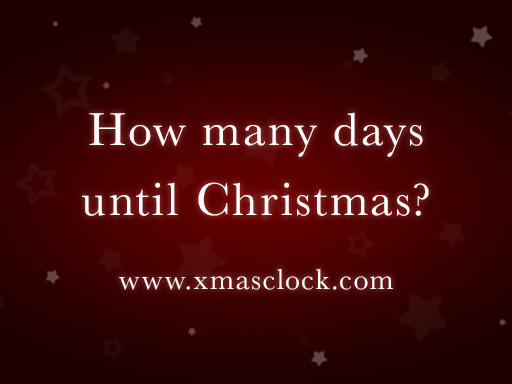 www.xmasclock.com is your Christmas Countdown 2015! Set it as your homepage to count the number of days until Christmas 2015! So, who will be at home all day to wait for all these parcel box deliveries? Parcels are generally too big to fit through standard letterboxes. The solution is of course a secure and large parcel box. At Postbox Shop we supply a vast number of postboxes, letterboxes and mailboxes to suit all our customers needs. Our Parcel Dropbox is perfect, simply place a parcel onto the internal shelf and close the lid, which will drop the parcel down inside the box. Of course this section is only accessible with your key, making your parcel safe and secure. Our parcel boxes are unique as they will accept multiple deliveries, and they can be screwed to a wall or concreted into the ground with a base plate. Our Zurich letterbox is much smaller, ideal for both external and internal use. 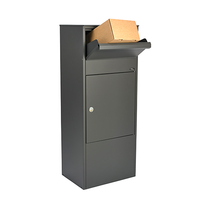 Sort your post today with our huge range of postboxes, letterboxes and mailboxes, in a variety of designs, colours and finishes, from traditional to contemporary designs, find the right letterbox solution for your property. We conform to British & European Standards (BSEN13724) and are Royal Mail compliant. We can also offer quotes for the installation of multiple letterboxes too. If you have any questions regarding our postboxes, letterboxes, mailboxes, services or particularly our parcel box range, please contact our friendly team today.